Despite a winter storm that brought eight inches of snow to some parts of Aroostook County on Wednesday, Caribou is still a bit short of having the snowiest month ever on record. CARIBOU, Maine — Despite a winter storm that brought eight inches of snow to some parts of Aroostook County on Wednesday, Caribou is still a bit short of having the snowiest month ever on record. Forecasters from the National Weather Service in Caribou noted that there is still a chance of tying or breaking the record of 59.9 inches, as Caribou currently has 59.8 inches of snow. It could be met if there is a snow shower today. The current record for the snowiest month ever was set in Dec. 1972. Todd Foisy, meteorologist at the NWS in Caribou, said that several weather records have already been set this winter. With 111.6 inches of snow on the ground since the first dusting on Oct. 18, 2018, this is the snowiest winter season to date. The total is 14.3 inches above the previous record of 97.8 inches, which was set in 2007-08. The third-snowiest season to date was in 1954-55, which saw 95.2 inches. Accumulations from Wednesday’s snowstorm varied significantly depending on where residents were located. Ashland received the most snow, 8.5 inches, followed by Madawaska with 8.1 inches. Eagle Lake, Stockholm and Van Buren picked up eight inches. In central Aroostook, Caribou picked up 7.2 inches, followed by 5.6 inches in Bridgewater and Presque Isle saw 4.8 inches. In southern Aroostook, Houlton saw 3.5 inches. 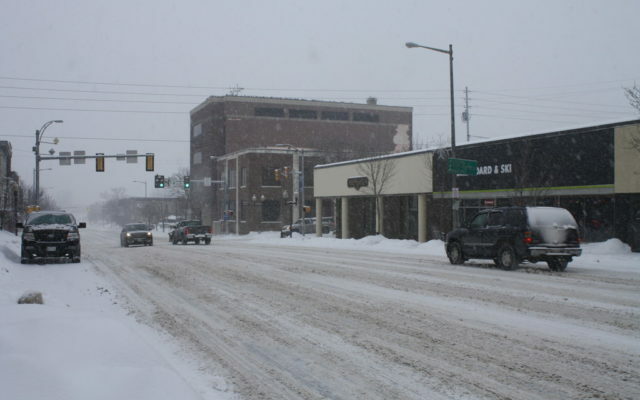 Foisy said that the record differed from the snowiest winter season of all time, which occurred when 197.8 inches of snow fell in The County in 2007-08. At the same time, Caribou also has set a record for the snowiest January to date. Foisy said that the 59.8 inches of snow has fallen so far this month beat the previous record of 44.5 inches that was set in January 1994. January 2000 is the third-snowiest January to date, with 43.7 inches recorded. The County will see bitterly cold temperatures for the next few days, according to forecasters. An arctic air mass is settling over the state, and wind chill temperatures will be “dangerously cold” tonight. Temperatures are expected to reach 38 below zero in Estcourt Station, and parts of the St. John Valley are expected to see 32 below zero. It is predicted to reach 26 below zero in Caribou and 24 below zero in Houlton.